The data in these graphics aren't official or validated by a reliable source. They correspond to the interpretation of the editor, based on the series. The final result is therefore subject to debate. There is therefore a thread dedicated to this discussion (in French) on the forum. If you want to talk about it, please click here! 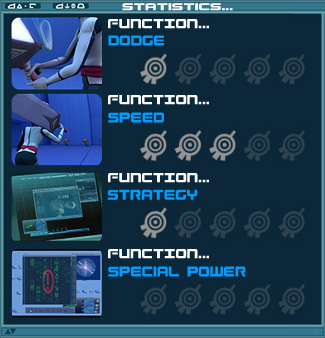 Graphics are based on character's abilities throughout the series, including evolution and final equipment. Power 1/5: Odd has the least powerful weapon. It doesn't mean that it is weak, just its foremost quality isn't dealing damage. Monsters only fear it hitting their target (except Creepers); and virtual envelopes too have to absorb a lot of them before being devirtualized. Defence 3/5: Odd's defence is average. His shield has certain advantages: it covers a good part of his body and activates quickly. However, it has its weaknesses: it breaks quickly and doesn't protect the user's legs. Melee 2/5: Odd isn't one for melee. His weapons and his fighting style require distance. Odd doesn't have Ulrich's saber or his martial arts, and certainly not Yumi's fans or William's colossal force. Two points for him: his dodge speed, even when close, and the near impossibility of dodging a laser arrow at close range. 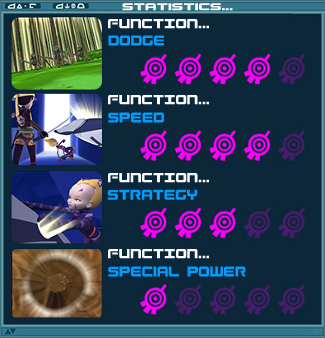 Ranged 5/5: Yes, every Lyoko Warrior has his strong point! Dodge 4/5: One of Odd's highlights! Some may think that his dodge is poor because he is very often devirtualized! But these mistakes are not due to Odd's inability to dodge, but only because he takes unnecessary risks all the time. If we look at the number of Odd's devirtualizations compared to exposure to monsters' fire, we obtain a quite respectable final ratio. How many times has Odd survived traversing a very long distance under a heavy fire with a low number of life points? 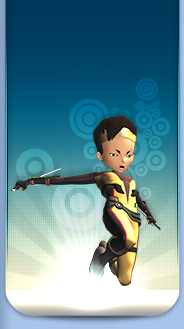 He is the Lyoko Warrior who is, on average, the most successful against Tarantulas. He also stood up to William for long periods dodging his sword. However, the catboy remains a bit below Yumi. Speed 4/5: Odd is extremely lively! This is the key to his aptitudes. Though Yumi quickly dodges with her agility, Odd counts on his fabulous speed. When he gets down on all fours to run, he becomes very fast. Strategy 3/5: We had difficulty assigning a rating. Indeed, the character has inconsistency. Most of the time, Odd is fairly straightforward. 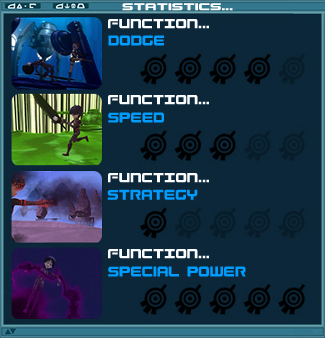 Fascinated by Lyoko and driven by the fight, he charges, gets distracted and pays the cost. However, and unlike Ulrich, the catboy sometimes develops some very interesting tricks that allow him to turn desperate fights back to his advantage. He's very often surprised monsters by appearing out of nowhere when they least expected it, rode Mantas like in a rodeo and even fooled William by whistling. Odd is the one who best uses the configurations of each Sector to his advantage. So a mixed balance of things. Special power 1/5: The obvious point where Odd is let down. His Future Flash, deleted at the end of season 1, occurs without him having any control over it. It does not usually help with fighting and has the opposite effect, leaving him totally helpless and defenceless against his opponents during the duration of the vision. This is indeed a paradox that the character prefers to rush in head-first, while his Lyoko version rather would have led him to become a fighter who works from a distance to support his teammates. Maybe one day if his gloves were replaced by different ones that allowed him to shoot more arrows and in large bursts, it will be more in tune with his personality. Power 4/5: Ulrich's brute force is one of the best in the series. Against the monsters, his saber is a great weapon. It is accurate at piercing the eye and almost certainly devirtualizing the most puny monsters (Hornets, Kankrelats) without even touching the target. 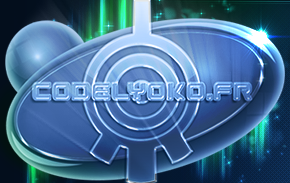 A well-aimed blow will surely destroy even a Lyoko Warrior (polymorphic clone or William). It's by planting his two swords in its eyes Ulrich was able to defeat the Kolossus. Defence 4/5: Contrary to what many think, Ulrich's defence is one of the best in the series. His frequent devirtualizations are more due to mistakes than a gap in defence. Proof is: Ulrich's sabers are known to stop just about anything: Odd's laser arrows, monsters' lasers, which he can deflect. Ulrich is the only hero armed and strong enough to block William's big sword. When the samurai focuses he manages to block full of bursts of gunfire. Only downside on the charts: Megatank fire, which twice destroyed the saber. Ranged 2/5: By far the area in which Ulrich excels the least. Certainly, later in the series, he ended up trying to throw his sabers. The power of the shot made him earn his 2/5, but it's double or quits: the manoeuvre leaves Ulrich unarmed. Moreover, it has a very low range and accuracy. Finally, Ulrich is almost helpless aerial battles. Dodge 2/5: Ulrich could be a great dodger, maybe one of the best thanks to his various powers. But Stern is not very focused on dodging. Certainly, he had good dodge sequences, but he prefers parrying with his saber. His speedster temperament has won him many devirtualizations. The 2/5 punishes the difference between Ulrich's dodge as we saw in the series and the potential Ulrich could have to dodge using his powers properly. Speed 5/5: Ulrich is the fastest Lyoko Warrior. 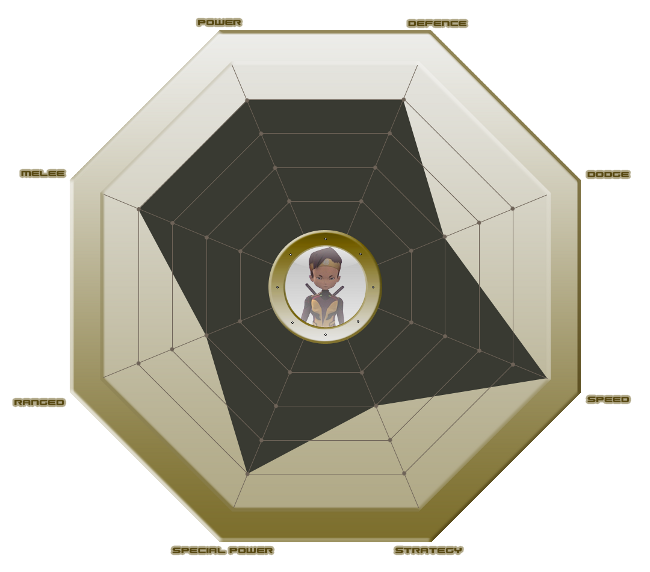 Strategy 2/5: Another area in which our hero doesn't shine. Though correctly using his weapons and powers, Ulrich could excel, he doesn't often find his way out of bad situations like Aelita through trickery or Odd through daring. Ulrich's strategy too often, far too often boils down to frontal attack. Ulrich counts more on his power than on his head. Special power 4/5: Ulrich is the best off of the original Lyoko Warriors during the Prequel and the early seasons. His two powers are formidable, not to say almost terrifying. Supersprint made him a virtual torpedo capable of defeating enemies in large numbers and getting out of the most dangerous situations. To Ulrich it is a weapon of surgical strike: fast, accurate, deadly. Triplicate fills Ulrich's gaps in dodging skill. When he moves into a triangular position, the target is almost certainly eradicated. Only William was able to thwart the technique. It's not so much the powers themselves that make Ulrich extremely powerful: the three powers are matched and complement Ulrich's equipment. Supersprint allows him to penetrate an opponent's kill zone directly. In addition, with the acceleration, the power of his blade is increased tenfold. However Ulrich's powers do not offer any other opportunities than the ones at a basic level. Their use, though formidable, is limited compared to William and Aelita's powers. Ulrich is clearly the tank of the team. His powers and weapons make him the ram that forces the enemy lines and creates the opening. 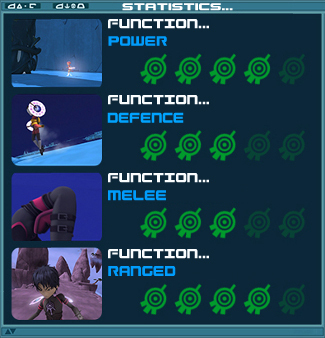 Ulrich is also one of the most versatile Lyoko Warriors in terms of ability. He's good in all areas. One might even venture to say he might have been the best "nice" Lyoko Warrior...if he had more combat intelligence. Why doesn't Ulrich stand out more in Code Lyoko? Because most of the clashes took place against monsters that attack from a distance and Ulrich is a contact man... Once it was a matter of fighting hand-to-hand (polymorphic clone or William), he shone. And it is wise to think that if in the future the Lyoko Warriors had to face humanoid opponents more regularly...armed, for example, with twin black blades...his skills will become paramount. Power 4/5: This statistic often surprises people. It deserves explanation. Contrary to popular belief, Yumi's fans are very powerful. Like Ulrich's saber, they devirtualize the most frail monsters without necessarily hitting their target. Moreover, they have a unique ability: they are the only weapon that has proved capable of destroying several monsters in a row in a single throw. When William was buffeted by them, he did not recover. The many times Yumi's throws failed in reaching one of the XANA Warrior's arms therefore came down to imprecision or bad luck. Defence 3/5: One area where Yumi is not at her best. This is not her fault; the complaint should rather be addressed to her weapon. It has two major flaws: the first is its lack of effectiveness for blocking. 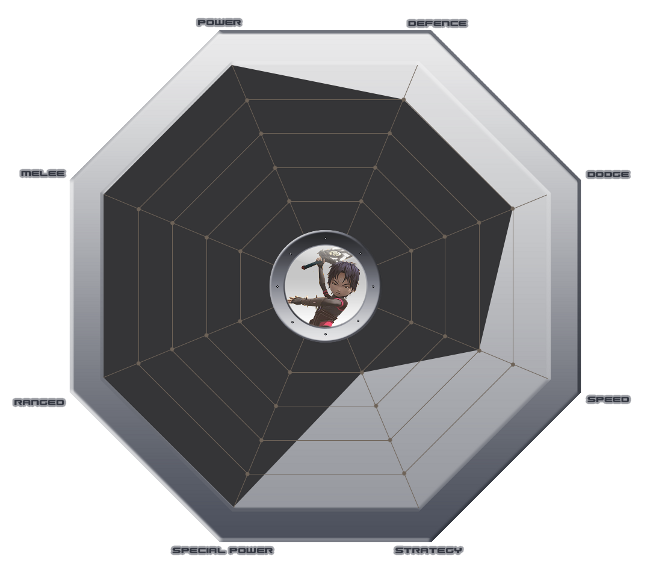 The weapon is very small, Yumi must be firmly set on her feet to block shots and she still feels the impact of the shield. In addition, the surface area they protect is very limited and they are unable to block William's blade or a Megatank laser. The second fault is of course that from the moment Yumi throws her weapons, she is totally helpless in terms of defence, especially if they never return to her. Her impressive spinning technique allowed her to deflect full rounds of fire. 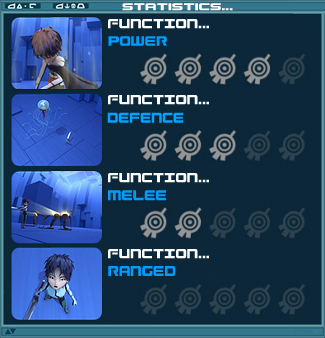 However, Yumi doesn't focus so much on defence, rather on dodging. Melee 3/5: A mixed issue. Yumi has the correct skills for melee, especially her agility which again gives her a clear advantage in close combat. Her lack of strength compared to the boys can sometimes be a problem, especially against William. Yumi's biggest flaw in hand-to-hand is not a lack of power, but her equipment. Yumi has absolutely no weapons and no useful power in close combat. She must therefore rely on trickery to get by. Ranged 4/5: Yumi is close to perfection. Her fans can deal several strikes without stopping, always returning to their starting point and having very good range. They are unpredictable and powerful against the enemies when they fly. Two faults deprive Yumi of the point from perfection: neither fan hits their target, she must wait to catch them again in order to make another attempt. Furthermore, she must be firmly set on her feet to throw them correctly. Dodge 5/5: Yumi's point of excellence. On this ground, Yumi's gymnastic talents have no equal. She is able to move through the most difficult terrain while making lavish dodges through her gymnastic skills. His formidable skills have often driven William crazy. Speed 2/5: Yumi is probably the slowest Lyoko Warrior along with Aelita. During frantic races, she is often last and is quickly overtaken by Odd or Ulrich. 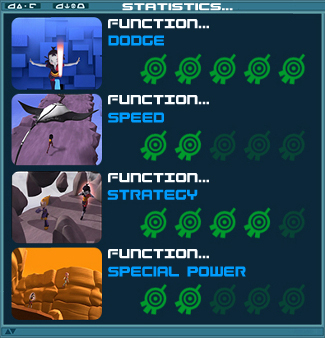 Her dodging and fighting techniques rely more on agility, rather than her speed. Strategy 4/5: Here is a point in which Yumi stands out compared to her bashful lover. Although Yumi's fighting style has significant strengths, it may be the one that has the largest gaps. Yumi, the more thoughtful of the group, has always used her brain to overcome her weaknesses. She may be the most conservative character and combines the best means at her disposal to get out of dangerous situations. Special power 2/5: Though Yumi's power could be one of the most powerful, the energy and concentration it requires is an undeniable gap, as is the the slowness of its execution. So, Yumi is almost unable to use it in the middle of a melee or hand-to-hand combat. Where her power is most efficient is where it may be combined with a thrown fan. Yumi is the exact opposite of Ulrich. Ironic isn't it? Ulrich is built for melee, Yumi for medium and long distance. Ulrich is naturally well-endowed with weapons and power, Yumi is the most underserved. Ulrich has not an ounce of tactics, Yumi is an expert in working her way out of a situation where she's at a disadvantage. The brain and the muscles. Power 4/5: The emergence of energy fields propelled Aelita from damsel in distress status to group leader. Energy fields have remarkable power. Certainly, this raises her power level, but it represents Aelita's sole source of firepower, and it's not a small one. Though they destroy a lot of monsters in one hit without making contact with the eye, this isn't always the case. Certain monsters have managed to withstand them, and they don't seem very efficient against William, who has often endured several hits. 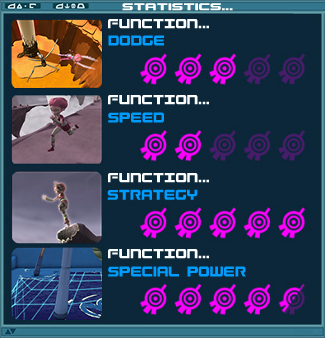 Nevertheless, aside from energy fields, Aelita has no offensive power, which prevents her from getting the maximum amount of points. 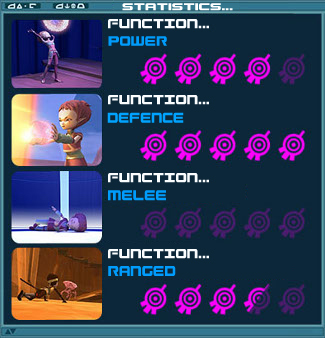 Defence 5/5: By combining her powers, Aelita is best of the best in terms of defence. Her energy fields seem to be the most resistant defence. They are the only thing that has managed to shatter Megatank attacks. Aelita is good at blocking monster lasers. Melee 0/5: Aelita has zero hand-to-hand ability and must count on her powers and her legs to avoid close combat. Ranged 4.5/5: Once again, energy fields give Aelita semi-invincibility on this level. Her energy fields are very powerful but nonetheless remain slower than laser arrows. They're more interesting than fans as Aelita can shoot them an infinite amount of times and can charge up her attack. One small fault separates her from perfection: Aelita cannot shoot in quick succession. Dodge 3/5: Aelita oscillates between two habits. Her lack of speed limits her dodging ability...but it's compensated by her knowledge of Lyoko and its monsters, making it easy for her to avoid them and their lasers for long periods of time. Her pitiful performances when faced with the Scyphozoa however earn her an average mark for dodging. Speed 2/5: Like Yumi, Aelita is less lively than the boys. Despite her numerous footholds throughout Lyoko, even the slower monsters like Kankrelats manage to stick to her like glue. She lacks enough speed to avoid laser fire. 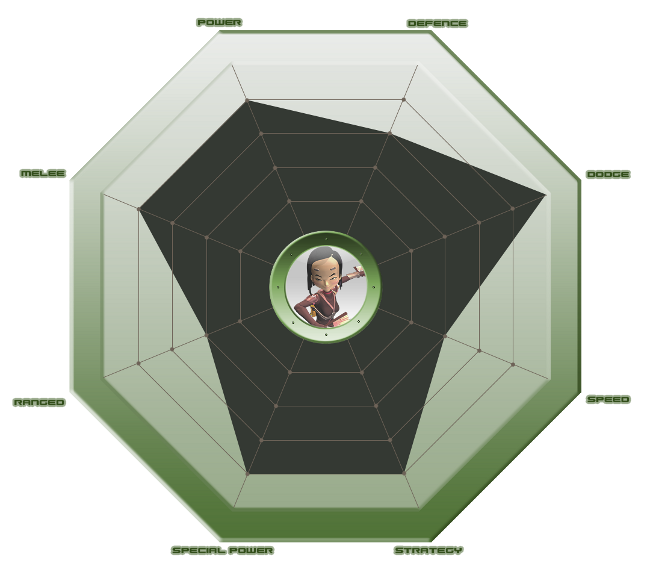 Strategy 5/5: By far the best Lyoko expert after having spent each minute of her life there for a whole year, Aelita, like Odd, is an expert in various tricks. Nobody has managed to fool monsters as well as her, nor as often. 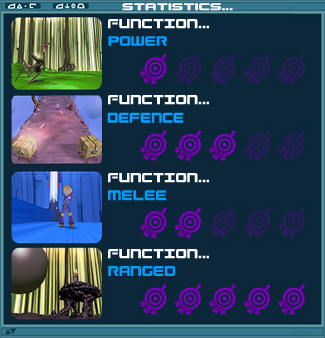 Contrary to her feline counterpart, who uses the terrain for offensive advantages, Aelita uses the environment to avoid fights in which she would be at a disadvantage and reach towers more quickly. Special power 4.5/5: Creativity is one of the most fascinating powers in the series. Unlike Ulrich's powers which are targeted a lot, Creativity possesses an absolutely infinite potential depending on how Aelita uses it. Some people even consider energy fields as a variant of this ability. So why a hair's breadth from a maximum rating? A few small faults: for one, using it requires a brief charging time which may be fatal against quick adversaries. In addition, we can also sanction the lack of use Aelita puts it through. Despite what we may say about it, the power could have been used in many situations. 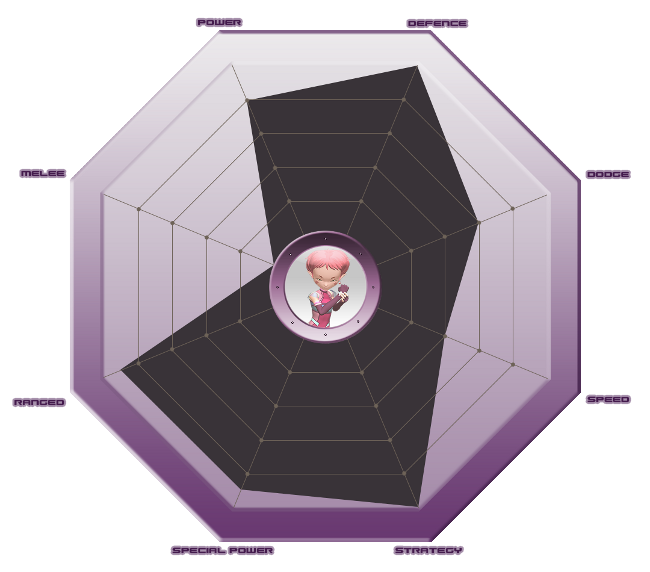 Aelita is a balanced character in all aspects. She has a powerful ability that has evolved into a powerful attack. 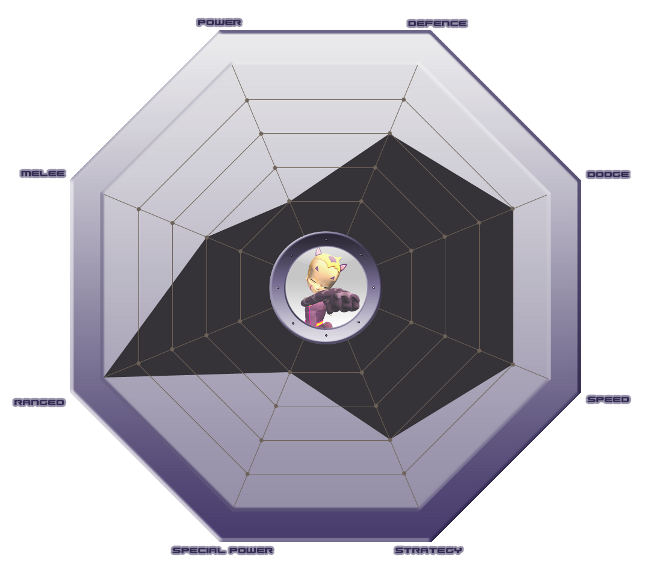 Her defence, speed and dodge are balanced and she proves to be very resourceful. A gap in physical ability is the only small penalty she receives. 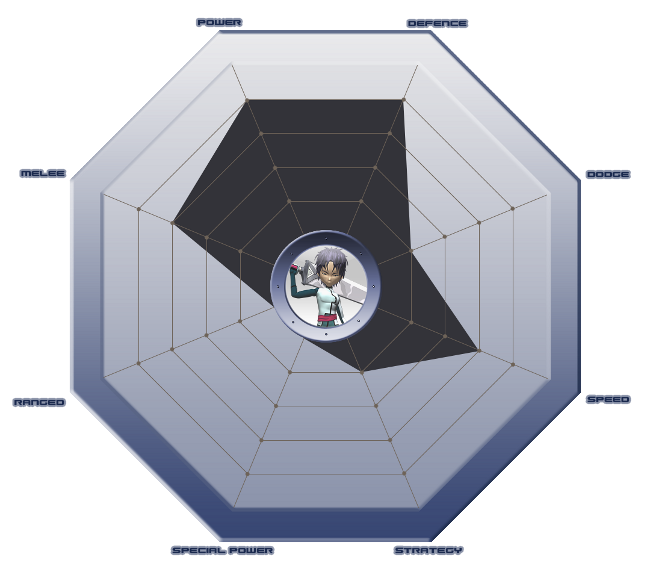 However, this graphic doesn't take into account Aelita's wings, which boost her speed and allow her to distance herself from danger. With this gift, we find that Aelita is the most all-round character. Power 4/5: Like most of his strong points, William's power is still hard to judge. All the blows he delivered were one-hit kills. But we've only seen him fight Creepers. Nonetheless, comparing his sword to Ulrich's, we can easily imagine that his strength is superior, or at least equal. One negative point all the same, the good William has less force than his Xanafied counterpart, and he therefore never manages to correctly manipulate his sword with a single hand...as a consequence, we can imagine that he doesn't have equivalent strength. Defence 3/5: William's defence has one huge good point and one bad. William's massive sword appears to be able to block any form of attack (supposing that it's as resistant as XANA-William's one). Nonetheless, its difficult manoeuvrability makes William's defence rather fragile. Even the Scyphozoa was able to surpass it. Melee 2/5: Difficult to estimate. William didn't have the opportunity to fight hand-to-hand when he was still himself. 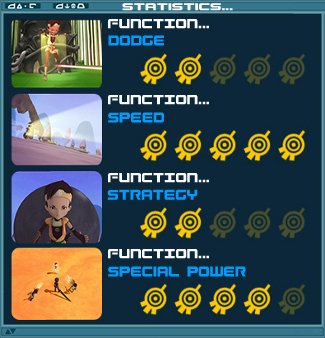 So, we can estimate his level is at a decent average: he was much more at ease than the other Lyoko Warriors were during their first virtualizations and the combat techniques he used against the Creepers left us to think that he had taken to his weapon very quickly. He remains a novice. Ranged 0/5: No long-ranged ability has yet been confirmed. His sword is too heavy to be thrown (unless XANA gives it a boost). Dodge 1/5: Not well-adjusted to fighting on Lyoko and hampered by a cumbersome weapon, William hasn't yet shown much skill in dodging. Speed 3/5: William seems relatively quick in his fighting style and movement despite his massive sword. He is nevertheless far from the speed of Odd and Ulrich's combos for the moment. Strategy 1/5: Do we really need to comment on this? Special power 0/5: No special power confirmed to this day. A rather unsatisfying graphic for a character who, during his first virtualization, put the heroes and their pitiful performances during the Prequel to shame. William, who went over to the dark side far too quickly, didn't have the time to progress and explore his potential. We don't even know what his own powers were. What we need to remember about William is that the graphics on this page don't really symbolise him: the potential of the character, who is by far the strongest in the series, had his destiny broken. There is no cure for this. He will catch up soon. Power 5/5: Maximum score. In terms of brute force, William is invincible. Half of his successful blows to his adversaries end in devirtualizations. His sword is cumbersome and was able to deal huge blows to the Skid's shield, disintegrate Aelita's energy fields, and devirtualize the Lyoko Warriors. Another point justifying this analysis: unlike his good alter-ego, XANA-William has all the physical power necessary to handle the sword, which not everyone can do. He succeeded in flipping it fast enough to stand up to Ulrich's attacks with his two lighter katanas. Still on a physical level, his dive from the top of the Core Room in episode 65 or the violent blows he deals show his physical superiority. Defence 4/5: William's defence often appears laughable in the series. The point we need to take into account for statistics is the following: William often fights alone against multiple enemies and is often targeted by multiple attacks at once. His sword's solidity can even allow it to absorb energy fields. It's large enough to protect a large part of William's virtual envelope, and he has no trouble in manipulating it to block enemy fire...but it is still heavy and inefficient when faced with volleys of projectile attacks, notably laser arrows, which overcome William's guard on several occasions. The weight of the sword is a fault as it can get stuck in things, but William's ability to levitate it or call it back to him in the form of Supersmoke compensates for this. Another appreciable element in his self-defence in close combat is the famous spiked armband William wears. Melee 5/5: I can already hear snickering from various fans who've come to list to me all of William's defeats against one hero or another. Let's consider the following facts: firstly, William is often faced with more than one enemy. Or he needs to fight several times in succession. Then, story-wise, William had to lose sometimes. Finally, William's defeats were mainly due to his own strategical errors rather than weaknesses in combat. If we take the whole of season 4 into account, William defeats the Lyoko Warriors more often than he loses to them. He is more formidable in hand-to-hand fighting thanks to a blend of all his other qualities: a multi-purpose power, titanic strength, a formidable weapon, and efficient defence. Ranged 5/5: Maximum score once again. Possibly the one that requires the least debate. His energy waves are the most powerful attack in the series. They're as quick as lightning, they can be charged to amplify their power. He shoots them in succession. As he shoots them with his weapon, his guard isn't let down. As for their power, it's already well established. In terms of precision, William is excellent sometimes, but the waves sometimes miss by a long shot. They have maximum range. In short, they have the power of Aelita's energy fields, the speed of Odd's laser arrows, and don't present any of the negatives that characterise the other heroes' long-ranged attacks. The only remaining question: why doesn't he use it more often? 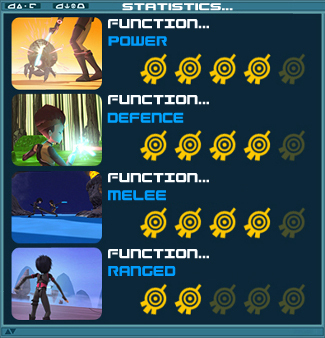 Dodge 4/5: Like for defence, most of the time, William is faced with more than one adversary. His dodge skill is excellent even though it's not equal to Odd or Yumi's. This high score is promoted by the ingenious use of Supersmoke, which allows him to do almost perfect dodges. With regards to this, the writers even clearly limited the use of the power to make William more vulnerable. Speed 3/5: Possibly one of William's largest weak points. Supersmoke aside, he isn't very fast. He is however very swift in episode 65 (with his imaginary Supersprint) but in the events that followed William was shown to be relatively slow. Around average, we'd say. It's often his lack of speed that earns him defeats. Strategy 1/5: We can penalise William in this statistic without nitpicking. A severe score that is explained by his other skills. William has the disadvantage of his many qualities. His power and defence are almost perfect and the box above shows just how powerful he is. What is there left to critique? The use of them, evidently. William never uses his maximum potential. Also, leveraging his overwhelming superiority, William is practically a tank. Search and destroy. However, the heroes ended up adapting to his frontal attack strategy and that's where we find the origin of the spankings he receives at the end of the series. Actions that are well thought-out and strategic are extremely rare... No William lying in ambush, no aerial attack through an unexpected Supersmoke dive, almost no interaction with his allies, XANA's monsters... Clearly wasted potential. Special power 5/5: Supersmoke... 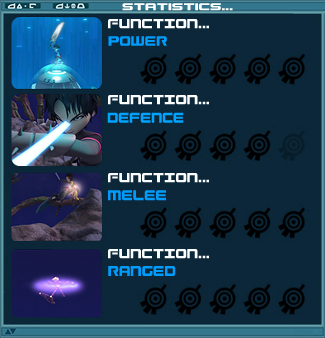 Possibly the best thing Code Lyoko Evolution decided to retain as the potential of this ability is incommensurable. The few lines I write here are far too short to do justice to the power that made William the badass of the virtual worlds! Supersmoke is the Alpha and the Omega. It is easily activated and doesn't require any particular stance to do so. Once in this state, its user is invulnerable. He displaces himself at a staggering speed (superior to the vehicles or Aelita's wings) and can traverse the surrounding elements. It's therefore a perfect defence, dodge and source of speed. Supersmoke also optimises martial arts because it allows for feinting, finding yourself behind your enemy's back in the blink of an eye. It allows its user to reach to otherwise inaccessible places. It therefore gives perfection to strategy and movement. Finally, it gives a power boost. When at full speed while in Supersmoke, William benefits from its momentum when he reappears: the power of his blows are amplified by it. We're probably actually in the presence of the most powerful Lyoko Warrior. Of course, we must render unto Caesar what is Caesar's: XANA's possession plays an enormous role in the physical force and most of the powers he acquired.